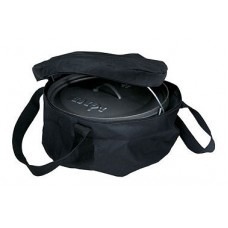 It also keeps the Dutch Oven protected especially if you don’t use it very often and store it in an outside shed where it can easily accumulate dust or other debris. 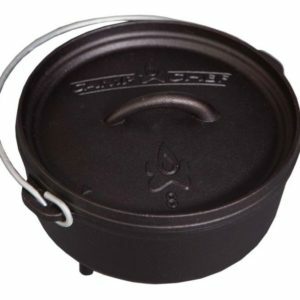 Before storing your Dutch Oven put a paper towel half way in and half way out that way it will wick the moisture out of your Dutch Oven and keep it from rusting. 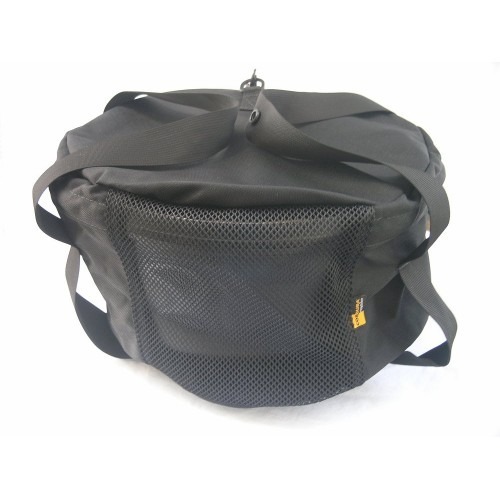 This tote bag keeps it clean and protected and ready to go at a moments notice. 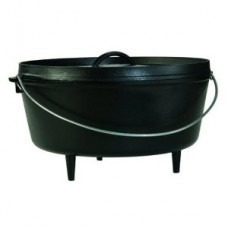 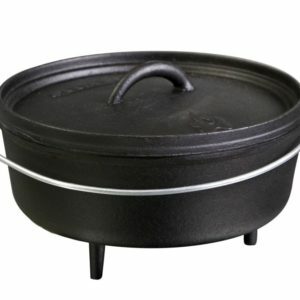 Holds Lodge Camp Dutch Oven 12” Deep or 8 Qt.